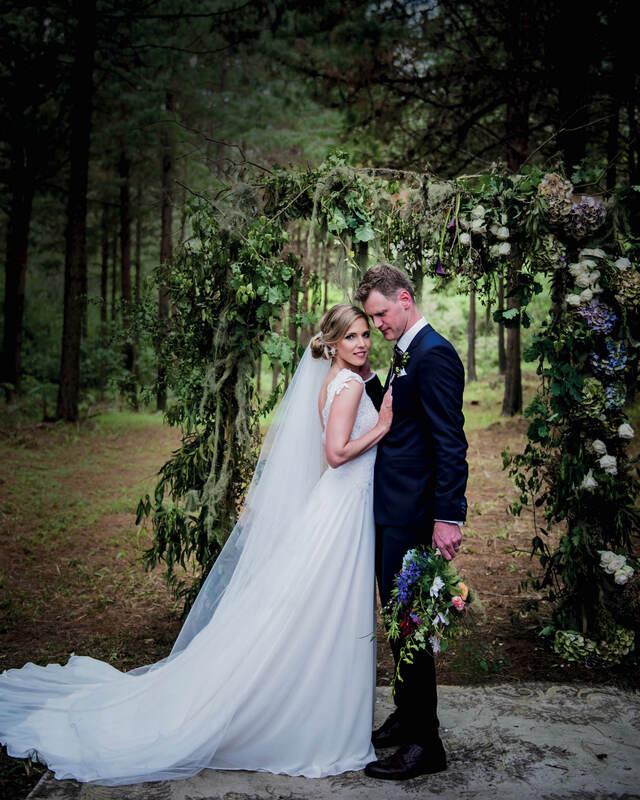 An enchanted forest setting created the perfect cathedral for Julia Woods and Michael Price’s vows. 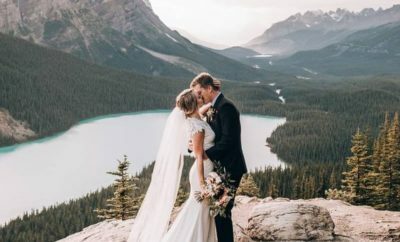 Keep scrolling to take a look at the magic that was their big day. 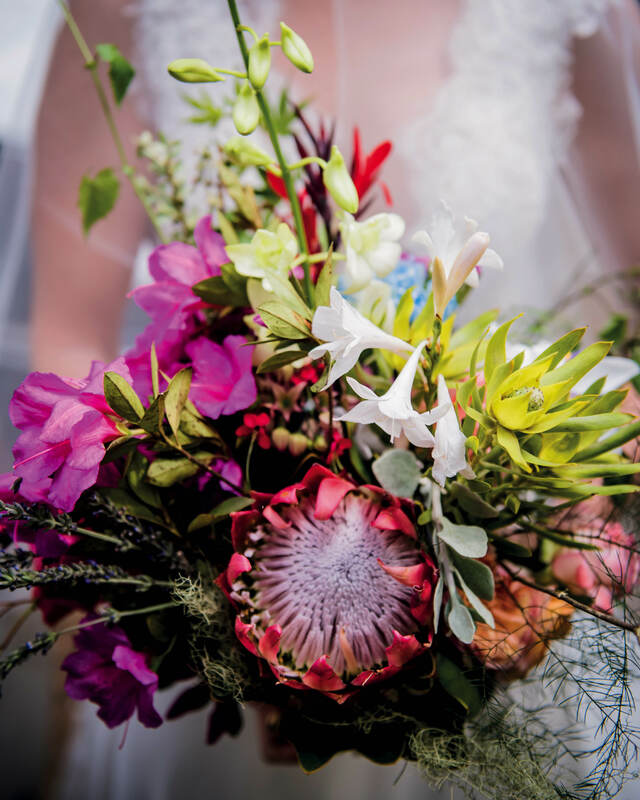 Our romance began at Allandale Timbers, a working timber farm situated above the town of Haenertsburg in the Magoebaskloof Mountains, Limpopo. The farm has been in Michael’s family for three generations and we decided to get married in the quiet of the forest with light streaming through the trees, like our very own cathedral. We also had a canopy set up in this clearing, and our guests picnicked on the lawns outside the old farmhouse. Mike is a naturalist who really loves the outdoors and working with wood and copper. I love simple romance, vintage glamour and delicious coffee and wine. 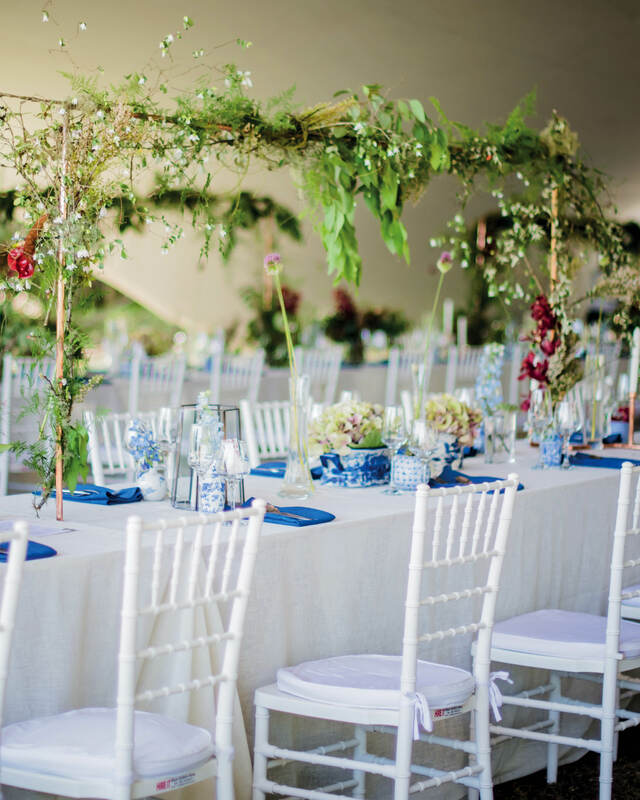 With both our interests in mind, we chose a simple palette of creams and delft blue with natural elements of copper, wood and plenty of greenery we foraged from the forest. Our dream for the day was to include our family and friends, and we achieved this by inviting each guest to bring a flower of their choice for my bouquet and crowd-sourcing our sparkling wine for the wedding by hosting a blind tasting with our friends. Like many brides, I thought I would quickly fall in love with the perfect dress. What I did not realise was just how long it would take to find! 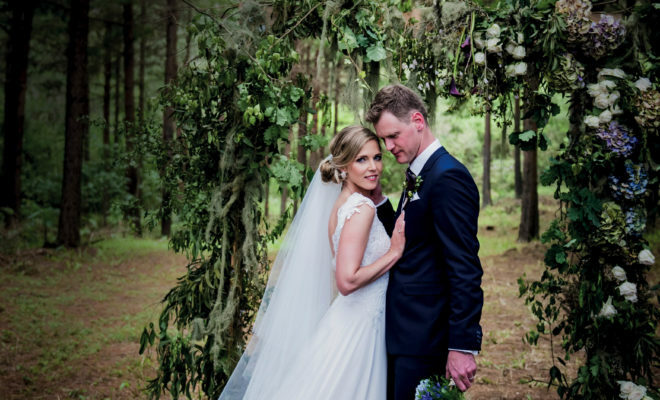 I looked for months and, despite everyone urging me down the ‘forest fairy’ route, I eventually found a Casey Jeanne dress with vintage touches and romantic lace at Calegra Bridal House. 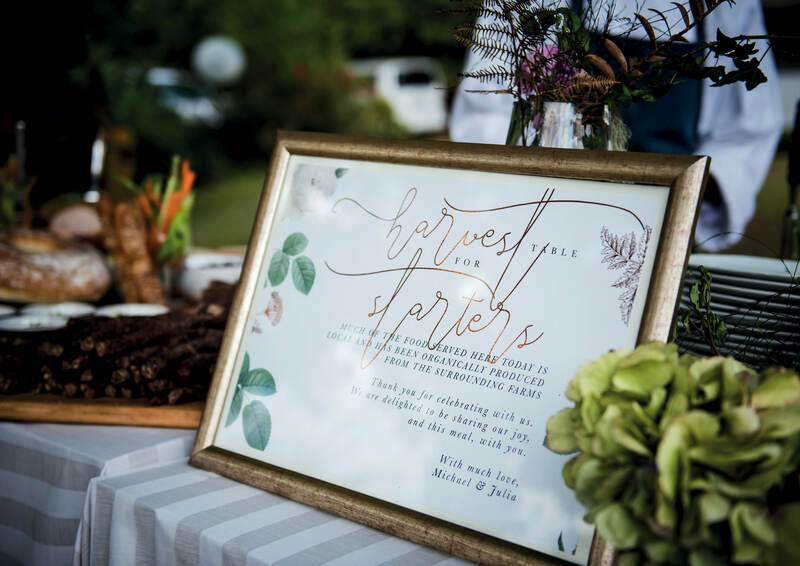 Mike and I got our hands dirty on DIY projects to suit our budget, by creating everything from the copper candlestick holders and life-size Jenga to the wooden altar and the bell tower. We travelled to the farm on our weekends for months to cut up logs, to use for seating, and do weeding and mowing to create our ‘church’, which ended up being a magnificent way to bond. Nikki from Bride Sidekick helped us decide to bring the forest into every part of the wedding too. Food and wine are a big part of our lives together, so we really wanted to create a foodie extravaganza for our friends and family to enjoy. But most importantly, we wanted to support the businesses and farms situated around Haenertsburg, so all the food was locally sourced. 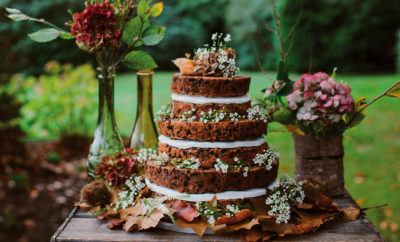 After the ceremony, we served a naked carrot cake paired with our crowd-sourced sparkling wine. Our caterer put together a wonderful gourmet feast of deconstructed burgers for dinner with baked Brie and Kahlúa, ice cream, meringue, berries and chocolate for dessert. 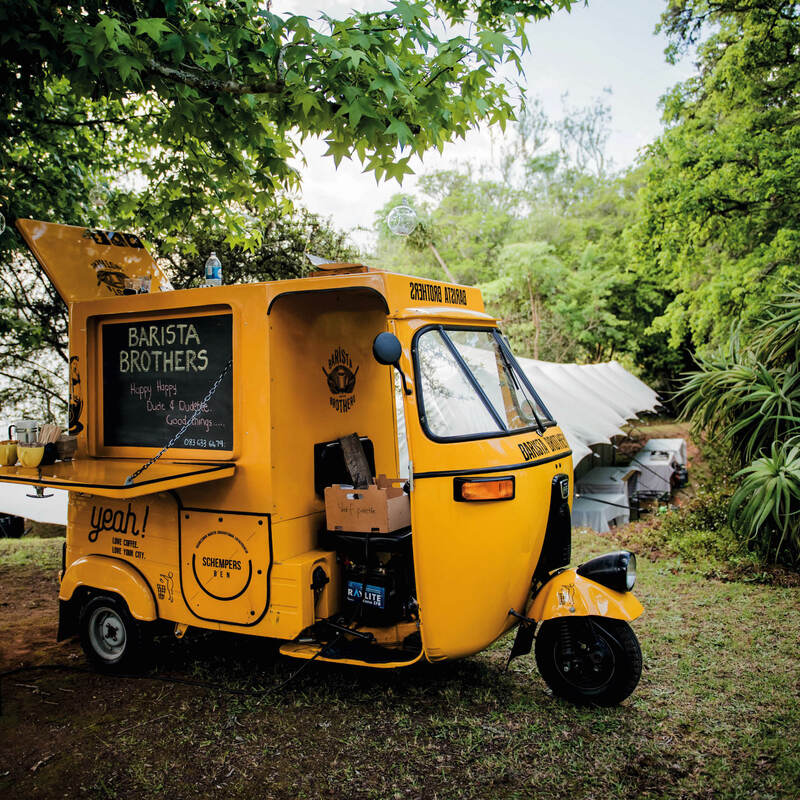 Throughout the day, our guests had the chance to enjoy delicious coffee from the Polokwane-based duo Barista Brothers cart, and local Zwakala craft beer on tap. The week before the wedding we discovered an old Anglican bell that had been stored in the old shed for years. 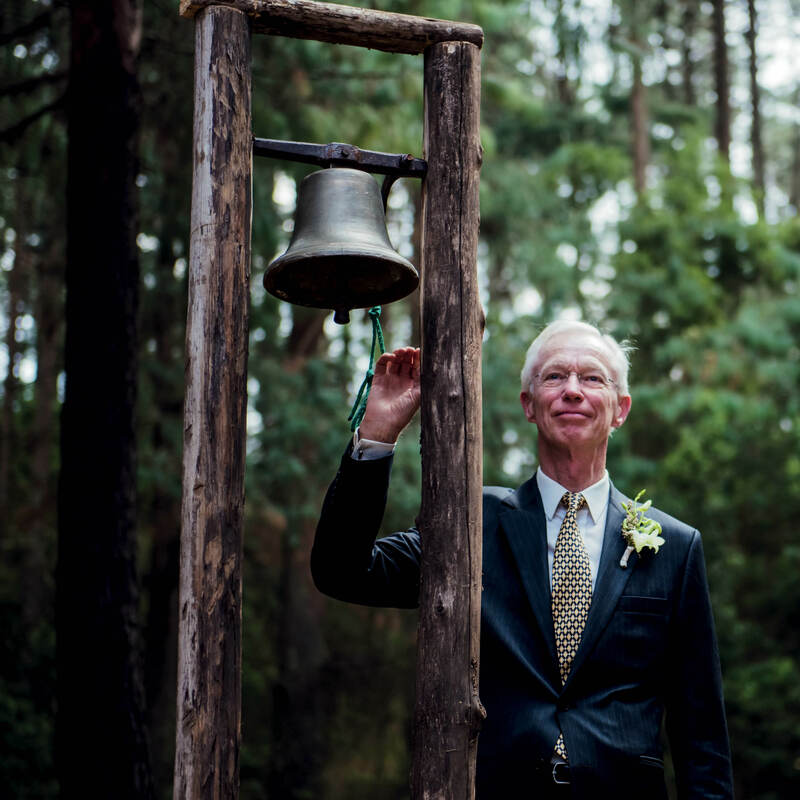 We cleaned it up and my proud father rang the bell before I walked down the aisle. We also gifted each lady with a small bottle of my perfume, and the men each received either a bow tie or pocket square. It was my dream to dance under the stars in the middle of the mountains to live music. All of our guests lit sparklers and lined the dance floor as we danced to ‘First Dance’ by Mark Wilkinson. It looked amazing and will always be one of the most breathtaking moments of our new life together!